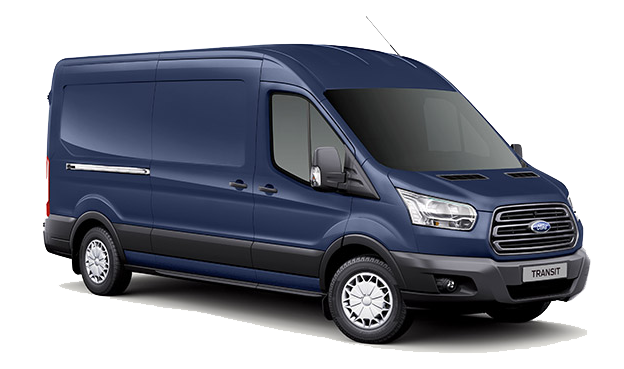 Transit's 3.7L Ti-VCT V6 engine has twin independent variable camshaft timing technology to optimize combustion at all engine speeds, delivering 275 HP at 6000 rpm and 352 Nm at 4000 rpm. Every transit comes equipped with Ford's 6-speed SelectShift® automatic transmission with full manual function that lets you pull the shift lever into manual mode and use the same toggle switch to select the gear desired. Sudden loss of tire pressure is the first sign of a puncture. If any of your tires happen to lose pressure before or during your journey, the Tire Pressure Monitoring System gives you an immediate warning by lighting up an icon on the instrument panel. Configure the cargo doors to suit your requirements with a single passenger-side door or dual sliding side doors. The swing-out rear cargo doors check at 90° and can be opened to a full 180° with a regular wheelbase (RWB) or 237° with the long wheelbase (LWB and LWB Extended length). Hill Start Assist helps you when pulling away on a hill by maintaining pressure on the brake system for an extra 2 seconds, giving you more time and control as you move your foot from the brake pedal to the accelerator. It's also handy when you're stopping and starting on slippery surfaces.